Winner of the Editors' Choice award by PC Magazine and heralded as "the most customizable contract management system on the market". 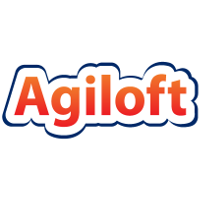 Agiloft provides a centralized, searchable repository with integrated workflows, email alerts, PDF contract generation and reports that address even the most sophisticated approval processes. Fully audit compliant with support for HIPAA, SOX and CFR21. Unlike competing systems, Agiloft conforms to your existing front-end strategic sourcing or back-end procurement and procure to pay processes, supporting both buy-side and sell-side operations. The system’s ability to conform to your existing process is made possible due to the underlying no-code platform. By removing the need for custom-coding and replacing it with deep configurability, implementations go live in half the time and cost of competing systems. Deep configurability also means the system can adapt and scale as needs change, turning agility into a competitive advantage.